When it comes to running clothes, I feel like I have have it down. The colors, the prints, the #twopairdontcare and the #runmatchy(TM). I put FAR too much time putting together an outfit for a run or a workout. Even if I don't take a selfie from my workout. I know you all think I take pics from all runs or workouts, but I don't. But when it comes to my outfits for school or going out, I'm completely lost. To be honest, I've seriously thought about taking a few more classes and becoming certified in Physical Education so I can wear my workout clothing to school. And of course, I would absolutely LOVE teaching PE as well. However, I do love being a Math teacher and I worked super hard at passing that darn Praxis II, so I'll stay where I am. I've seen ads and posts for StitchFix here and there, and I thought nothing of it at first. But then curiosity got to me and I checked it out. I seriously should have been going to StitchFix all along! It's so easy. After you sign up, you are lead through a series of questions to set up your Style Profile - height, weight, sizes, fit preferences. Then you get a chance to choose styles that you like the most. After you go through the questions, you set up your delivery date and wait. Shipping doesn't take too long. My package came through USPS and considering the time of year it is, my package was here in no time. My initial thoughts after opening up the box was "those colors!". Blues, purples, blacks, dark mulberry. All of the colors I love. So pretty. And the bracelet? Super cute! But hold up! What if you don't really love what is sent? Or if it is too big or too small or just doesn't look like you thought it would. No sweat. You get 3 business days to return and there is a free shipping package enclosed. Just log into your StitchFix account, note which items you want to return and why, then package up your returns and you are done. If you love everything, you'll still need to log in and pay. Of course! So, how about this! Treat yourself to a personalized stylist-inspired outfit from StitchFix. It's a nice treat for all of the hard work you have done getting everyone ready for the holiday season! And if you aren't sure what you want, or if you have that difficult person to shop for who has everything, let StitchFix do the styling for you! So there you have it! 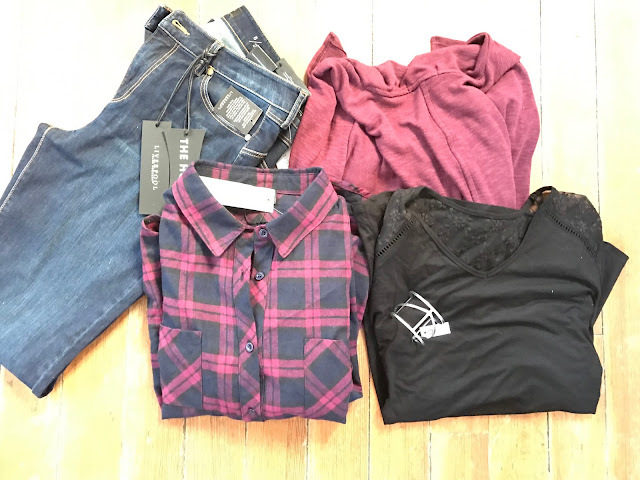 StitchFix is a great way to gift yourself or someone you love! Have you tried a style service before? What are your thoughts? 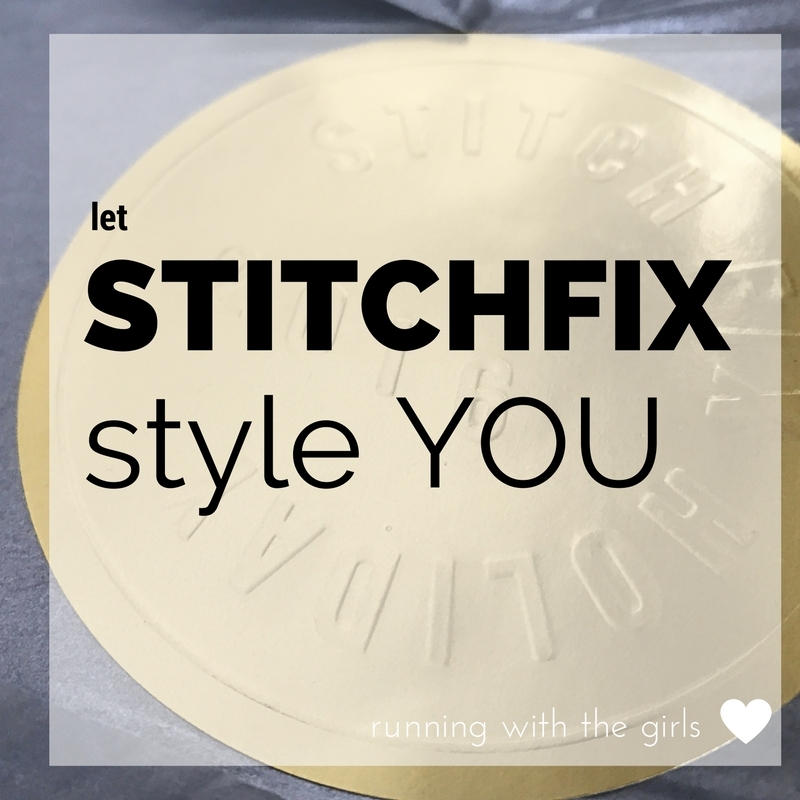 disclosure: This post is sponsored by StitchFix through my affiliation with FitApproach. I paid for for the outfit I received out of my own money. As always, all opinions expressed on my blog are 100% my own.